After getting off to such a quality start to the second half against a tough slate on the road, the Dodgers have now dropped three in a row after the offense got shut down yet again against the Brewers in a frustrating 1-0 loss. Walker Buehler started for the Dodgers and he bounced back from recent struggles, going seven innings and a surprising 105 pitches, allowing just a single run. Of course he did get some help from Enrique Hernandez, who continues to be special defensively. But most of the work was done by Buehler, who surrendered just five hits (one double) and walked none, striking out seven hitters in a dominating showing. Unfortunately, it was Wade Miley who had the better start, going seven shutout innings, limiting the bats to just two singles and two walks, striking out five batters. The Dodgers had just one at-bat with a runner in scoring position against him and obviously didn’t capitalize. 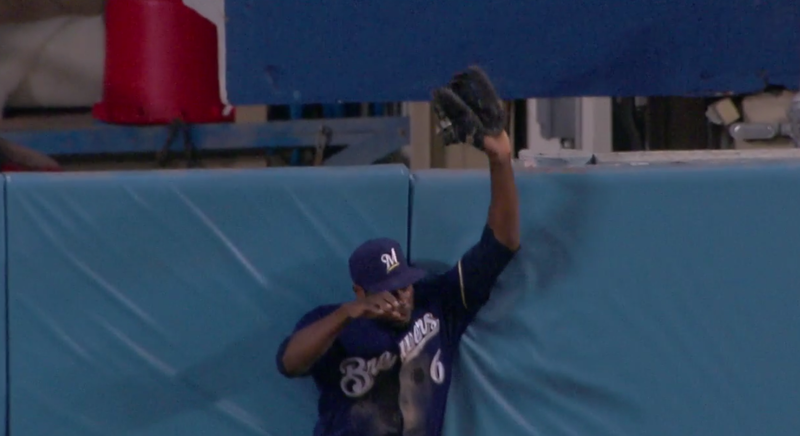 But Cody Bellinger almost ruined all that work by going down to dig out a pitch and hammer it to center, it’s too bad Lorenzo Cain was there at the wall to rob a homer and save the lead for the Brewers. JT Chargois took over in the 8th and got a drama-free inning, allowing only an infield single. But even with Miley out of the game, the offense went down 1-2-3 against Joakim Soria in their half. Caleb Ferguson was tasked with the 9th and the middle of the Brewers order. He continued to do well in the pen, getting four outs with two strikeouts, because after one of the strikeouts Yasmani Grandal couldn’t locate the ball to complete the out. That brought up the Dodgers offense that has been impotent for the past few games now against Jeremy Jeffress. Almost predictably, they did nothing. 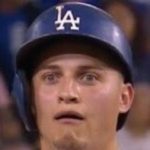 The Dodgers drop back to 10 games above .500 at 59-49, and with the Diamondbacks winning they also fall back to second place in the NL West, a half game behind. Rich Hill will take the mound tomorrow at 4:10 PM HST/7:10 PM PST/10:10 PM EST, as he tries to prevent the Dodgers from dropping the series, and he’ll face Chase Anderson from the Brewers.